[l264380] pressing, denoted by "-MO" suffix on label matrices. Runouts appear to indicated metalwork for Side B supplied by Presswell. Issued with 12x12" black-and-white single-sided cut sheet of Aretha and Ray Charles. ARETHA FRANKLIN: vocals & electric piano (on Eleanor Rigby, Don't Play That Song, Dr. Feelgood, & Spirit In The Dark). RAY CHARLES: vocals & electric piano on Spirit In The Dark (replacing Aretha after she says,"Would you play just a little bit for us?"). KING CURTIS: tenor & soprano saxophone solos and leader of orchestra. The rhythm section consists of Billy Preston, organ and The Kingpins including: Cornell Dupree, guitar; Jerry Jemmot, electric bass; Bernard Purdie, drums; Pancho Morales, conga drums; & Truman Thomas, electric piano (on Respect, Love The One You're With, Make It With You, Bridge Over Troubled Water & Reach Out And Touch. The above are backed by The Memphis Horns led by Wayne Jackson, trumpet and Andrew Love, tenor sax and including Roger Hopps, trumpet; Jack Hale, trombone; Jimmy Mitchell, baritone sax; & Lou Collins, tenor sax. The background vocals are by The Sweethearts Of Soul consisting of: Brenda Bryant, Margaret Branch & Pat Smith. All the horn arrangements are by Arif Mardin, with the exception of Make It With You which was arranged by Larry Wilcox, and Don't Play That Song, which was arranged by Tom Dowd. Recorded at Fillmore West, San Francisco / Recording engineer: Ray Thompson / Re-Mix engineer: Arif Mardin / Photography: Jim Marshall / Album design: Tom Wilkes for Camouflage Productions. Special thanks to Bill Graham and the staff of Fillmore West, San Francisco, to Wally Heider and his recording staff, and to Karin Green. Ray Charles appears courtesy of Tangerine Records and ABC / Dunhill Records. Billy Preston appears courtesy of Capitol Records. There is a slight low-frequency electronic buzz on Dr. Feelgood. 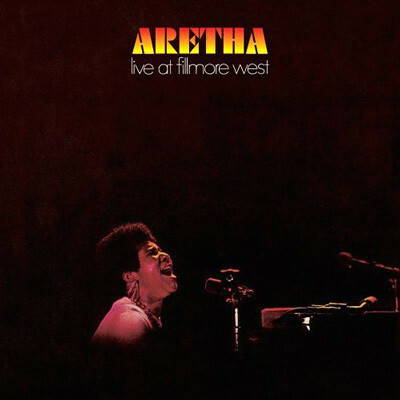 It occurred during the original live recording, and could not be eliminated when this album was edited.